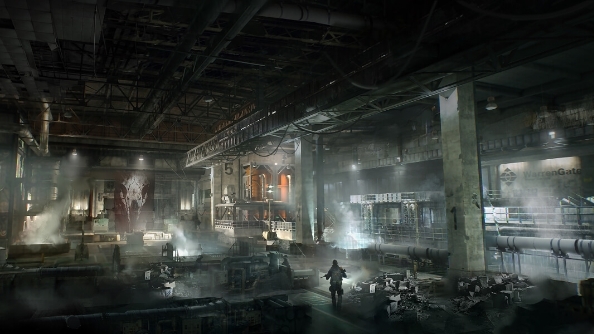 The Division has its sights set on keeping us busy for months and months, in true MMO fashion. If you’ve exhausted the main game, you’ll be pleased to know that the first Division update is with us now, adding new gear sets, assignments, and the Incursion game mode for free. Intrigued? Well we’re about to tell you what you can expect on your return visit to New York. Looking for some more team-based action? Try one of the best co-op games on PC. Incursions are the biggest addition, adding high-difficulty end game missions to the game. They’re being casually referred to as ‘raids’, but don’t expect big 40-player expeditions. 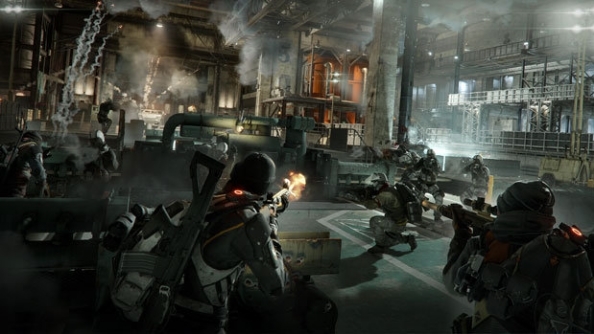 Falcon Lost, the Incursion included in this update, puts a four-man squad in an underground arena and demands they survive waves of tough-as-nails enemies while attempting to complete an objective. And if your squad is wiped out, that’s it: game over. First things first: you need to be a fairly seasoned player to be allowed into Incursions. You’ll need to have reached the level cap of 30, and completed the campaign up to the General Assembly (the penultimate mission). On top of that, you’ll need an absolute minimum Gear Score of 140, although it’s suggested you have 160. If you’re unaware of what Gear Score is, it’s the way The Division progresses your character beyond the level cap. Endgame-tier weapons and gear have a score rather than a level. The sum total of all your items’ scores are averaged and displayed as your character’s Gear Score. You’ll need a good, pretty complete set of end-game items in order to reach the minimum 140 Gear Score demanded to play Falcon Lost, so if you’ve not been playing since you finished the campaign you’ll certainly need to spend a fair amount of time gathering new equipment. Should you meet the required level and score, then you can head into the Incursion, located in the very bottom right of the map. Completing the Incursion will reward you with 33000 credits, 15 Phoenix Credits, a vanity item, an equipment item, and one gear set item. Inside, you’ll find a large arena being assaulted by the Last Man Battalion. They’ve got an APC vehicle, and its heavy weapon range almost covers near enough the entire arena. 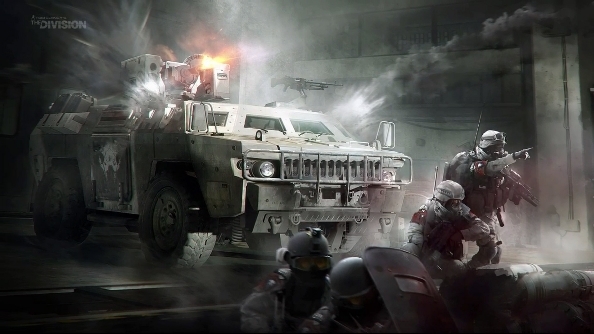 Your job is to survive 15 waves of LMB troops, while trying to affix explosives to the APC and destroy it. Enemies will keep flooding the arena until you detonate those bombs, so the pressure is always on. As mentioned before, dying is final and there’s no checkpoint respawns, so tight communication is a real must. It’s also probably sensible to consider taking in healing skills and being fully stocked up on food and medipacks. If you’re looking to take a break from Incursions or hunting down those elusive gear sets, you could accept one of the new Assignments. They’re essentially dailies and weeklies: small quests in the open world that change every day or week. Sometimes you’ll be heading into the Dark Zone, or perhaps looking at crafting something new. They offer a little variety on a drip-feed basis. Also new in the update are Supply Drops, which can be found in the hazardous Dark Zone. You’ll certainly want to be on the lookout for them because they’re an oddity within the zone – none of the loot inside is contaminated. That means you can grab it and run without the usual need to extract it. The loot is high-tier, too, and could even be a component for one of the gear sets. Expect big fights between players over each drop. Is that loot you just found not for you? Well now you can drop it on the floor in front of a team-mate and they can claim it for themselves. You do have to make a fairly quick decision on your loot though: it can only be traded within the first two hours of you owning it. After that it’s yours forever. As you’ll have noted with hungry eyes, one of the rewards for completing Falcon Lost is a single piece of gear set. These are randomly handed out, and so if you want to collect a complete set you’ll likely have to play the Incursion many, many times. There are other ways to get some of the items though, which we’ve detailed below. Gear sets are items that link together to offer massive stat boosts. Having two items from the same set is a great boon, three even more so. A full set of four makes your character incredibly potent in the field the gear focuses on. Focused on electronics, Tactician’s Authority is a gear set designed to compliment support-style characters who place emphasis on using gadget-based skills. Full set bonus: 1% increase in skill power for every 60,000 points of damage dealt by the team, up to a max of 100%. Ideal if your style is all-out shooting carnage, the Striker’s set is dedicated to improving both your damage output and hardiness. Full set bonus: Each consecutive hit increases in damage, up to a max of 100%. Long range marksmen will want to get the full set of Sentry’s Call gear, and it makes each round from your rifle pack a serious punch. Full set bonus: Headshots mark enemies, increasing all damage on the target by 15% for 10 seconds. A max of three marks can be placed on each enemy. If you’re enjoying discovering NYC’s secrets on your lonesome, the Path of the Nomad gear is well suited to your style. It is the only gear set that does not require you to play the Falcon Lost Incursion. Full set bonus: Chance to heal back to full-health when taking a killing blow, limited to once every 10 minutes.